The Future Of Mobility Is Here! Complete visibility, connectivity & mobility for Sage 100 & Sage 100cloud users. Our Sage ERP integrated supply chain management solutions provide everything you need to manage your supply chain quickly and conveniently using mobile technology, whenever you want, wherever you are. From mobile sales & service calls to automating inventory, order fulfillment, shipping, and complicated manufacturing processes, all while connected to your Sage ERP system. Get paid faster for service calls, throw away the clipboards for inventory, and empower your warehouse & manufacturing team with easy to use iOS and Andriod mobile apps that increase efficiency. Visit scanco.com/mobility to learn more. The ragtag group of people who make this magazine possible. Opinions are their own. After serving as Blytheco’s CEO for 39 years, it’s time for Stephen to officially pass the baton. While this not-so-shocking bit of news means more time to hit the links, we can comfort ourselves knowing he’s never truly gone—as Chairman of the Board, he’ll still be pacing our hallways. Pictured left: a sigh of relief. Why? Jessica can finally get some undistracted work done now that Stephen isn’t trying to convince her to take extended lunch breaks. Sure, she’ll miss his witty banter and boy-ish charm, but it’s business as usual for this Boss Lady! In honor of Stephen “The Most Interesting Man” Blythe, Samantha aims to become “The Most Interesting Woman.” In addition to producing awesome content for Blytheco, Sam has quite a few planes to jump from to be on Stephen’s level. Is she up for the challenge? Stephen assured Kyleena she would absolutely love golfing, but she has a feeling her swing might not be up to snuff to beat him on the course! Maybe it’s best she sticks to what she enjoys doing: writing, getting out of the house to explore new places, or working on her garden of succulents. In awe of how much Stephen has accomplished in his life, Brooks decided it was finally time to live out his dream of becoming an author. Step 1: Take an awesome autograph picture. Check. Step 2: Develop good penmanship. Check. Step 3: Actually write a worthy novel. In Progress. With Stephen vacating the premises, Jennifer found herself in a rather precarious situation; she’s assumed most (if not all) of the in-house coding and development duties. It was a difficult job before, but made especially challenging without Stephen’s onsite coding sorcery. Bellwether Magazine is published by Blytheco with principal offices at: 23161 Mill Creek Dr., Suite 200 Laguna Hills, CA 92653 If you wish to be removed from the mailing list or to add names to the mailing list, send your request, including name, business name, and mailing address to the above address or to kharper@blytheco.com. This is a copyrighted publication and all articles herein are covered by this copyright. 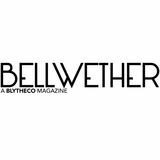 Any use of the content for commercial reasons or other form or reproduction of material herein is strictly prohibited without prior, written approval of Bellwether Magazine. efore Quickbooks, PayPal, Sage 50, and the other major software platforms we use today emerged and modernized standard accounting procedures, writing things down the old fashioned way was the only way to keep tabs of tracking and maintaining expenses. But how and when did the accounting industryâ&#x20AC;&#x2122;s heavily-relied-upon software platforms emerge? TECHNOLOGY From Humble Beginnings As any historian will attest, a universal need for keeping track of assets, transactions, and resources was fundamental to developing a functional society. It also paved the way for language! In fact, the invention of written numbers pre-dates the first known alphabet by tens of thousands of years. The earliest recorded evidence of any numbering system dates back to over 30,000 years ago in the form of tally marks. In contrast, the first known recorded verbal language is approximately 5,000 years old. Rudimentary bookkeeping dates to a time when ancient Roman civilizations utilized a token-based system to keep tabs on their currency—adding or taking away values presented early arithmetic mathematics. However, it wasn’t until the development of pen and paper that accounting witnessed its first major revolution in record keeping. The middle ages’ prolific use of money and expenses introduced many core accounting concepts we still use today. Most notably, it introduced double-entry bookkeeping, or a system in which a debit and credit entry is recorded for each transaction. Prior to double-entry, only a single denomination was recorded, which is what the customer owed. Did You Know? •	In Latin, debit means “he owes,” and credit means “he trusts.” •	UNIVAC stands for UNIVersal Automatic Computer. The main memory consisted of multiple tanks of liquid mercury. •	The UNIVAC computer system successfully predicted the presidential election in 1952, thus solidifying itself in pop culture. •	Five former IBM employees founded the company we know today as SAP. •	Microsoft Excel, a common software tool used in accounting, was first introduced in 1985 for the Macintosh. The first Windows version arrived in 1987. In the 19th century, the UK officially adopted the term “accountant.” The Glasgow Institute of Accountants applied for a Royal Charter in 1854, and the Edinburgh Society ceremoniously coined the term “chartered accountant.” As the demand for better business practices increased, accountants found themselves in high demand. Businesses sought accountants for more than just crunching numbers; having pursued a robust understanding of business and contract law, accountants helped solidify their role as one of the earliest professional services provided in businesses. The Accounting Revolution What truly revolutionized the accounting industry was the 20th century’s invention of computers and computerbased technology. Remington Rand’s UNIVAC I, which only barely beat IBM to the market, weighed in at a whopping 30 tons—it was so big technicians went inside it to make repairs. Sure, the UNIVAC I was big, bulky, and unappealing visually, but there’s no denying its commercial success. Not only did it perform complex data processes and entries (including handling payroll for a General Electric appliance factory), it successfully kickstarted the natural coexistence between accounting and computers. In essence, UNIVAC I is considered the godfather of all accounting software. But as the marriage between hardware and software grew in scope, so did the idea of building one generalized application—complete with flexible features and customization. Entering the Modern Era The 1960s was full of coding procedures that served single purposes, tailored to specific requirements. Oftentimes these jobs would run in batch mode overnight, resulting in a lengthy procedure. But as the marriage between hardware and software grew in scope, so did the idea of building one generalized application— complete with flexible features and customization. In 1973, a software development company known as System Analysis and Program Development (SAP) launched the financial accounting system RF. RF’s fundamental goal allowed decision-makers to ask financial questions and get prompt answers with fewer intermediaries. Simplifying the interaction with the data stores meant that more people could derive more value from their computer investment, thus giving birth to more complex and user-friendly accounting software. SAP’s flexible product line grew alongside their company. They developed a modular system capable of handling a wide variety of business chores. In 1978, another pivotal milestone was reached when Peachtree Software (later known as Sage 50) introduced the first-ever accounting software product for personal computers. Up until this moment in history, companies relied on big expensive computers for their accounting needs. Peachtree further expanded their offerings in 1981 with the first integrated office suite, including a word processor and spreadsheet, which could run on a variety of brands of computer hardware. Businesses finally had a way to automate their accounting for a fraction of the cost, saving hundreds of thousands of dollars. Intuit—a name within the accounting software industry we should all be familiar with—was founded in 1983. Intuit launched Quicken, the first application aimed directly at every day consumers. This simple act expanded the market to individuals and families simultaneously while also introducing a new dimension in the development of accounting applications—fulfilling the need for making the user-interface clear and accessible. The Best Is Yet to Come Today’s market is chock-full of software choices; from Quicken to FreshBooks (and everything in between) the competition is fierce. Extra advances in hardware, especially with the rise of mobile technology, signify we no longer need to rely on exceedingly expensive boxes in order to gain the benefits of accounting software. Furthermore, modern user-interfaces are more accessible and fool-proof than ever before, giving everyone more time to focus on what matters most. About the Author Brooks Huber is particularly fond of all tech-related matters and news appearing in the business and entertainment industry, which he habitually “geeks out on.” His words, not ours. When not aspiring to consume all that media, he’s busy creating marketing materials for the Blytheco brand as the Content Marketing Manager. Connect with Brooks on LinkedIn at www.linkedin.com/in/brookshuber. One uniďŹ ed business management suite encompassing ERP/Financials, CRM, and eCommerce for more than 30,000 organizations. Call today to speak with one of our professionals. One of the major trends we will see is the development of blockchain technology, with financial organizations finding more uses for this innovative technology. From digital payments, loan processing, escrow payments, and more—blockchain provides security for your money, without the need of an intermediary for the monetary transfers. Not only is blockchain an efficient way to make sure your money is transferred, it’s much faster than many other options out there. Last year many thought bitcoin or cryptocurrency use would increase, but it turned out not to be the case. This year blockchain use will grow in its use of peer-to-peer transactions. With so many hackers in the world, blockchain technology lends security and trust to any financial organization using it in 2019. A great example of the constant evolution of Artificial Intelligence is the appearance of robo-advisors as wealth managers. Wealth managers have, for a long time, helped people enhance their financial situation. Now, robo-advisors are becoming the norm instead. These AI-based wealth managers create online, automated portfolios for customers. They calculate key metrics and suggestions, including interest rates, investment opportunities, and loan providers using algorithms that adjust based on what you fill out for what you’re looking to invest, how much you want to invest, and your timeline. The best part? These robo-advisors are a fraction of the cost of an actual advisor, which means more and more people are signing up every day for these services. 2. Mobile Apps While finance-based mobile apps have been around for a while, 2019 will expand upon this market. With so many third-party financial service providers available, banks are now having to compete within the market. As a result, banks are discovering how they integrate with these third-party services in order to stay relevant in this day and age. With the Open Banking directive, users can now utilize third-party apps to see account information from all their banking providers in one place. Despite their initial reluctance, banks are starting to understand their potential, with almost 70% implementing API gateways to accelerate digital banking innovation. The end goal is obviously to erase the middleman (or in this case, third-party app); but until then, banking apps are improving their connections to make the user experience smooth and seamless. 3. Digital Assistants Artificial Intelligence for voice has taken finance to a new level. Virtual assistants have already replaced humans in call centers for almost all banks, responding to common questions relating to things like loans, savings accounts, information on fees, and more. Bank of America created an assistant that allows customers to find transactions, send and receive money, and lock or unlock their debit cards. And now, these digital assistants can be used to determine a customer’s identity and prevent fraud. Across the U.S., these robotic assistants ensure the wrong people won’t gain access to your banking information. Soon, they will be able to help you with even more items over the phone, including checking your credit score, planning a budget, and managing your funds. They might even be able to give you investment advice based on your banking information. 5. Cyber Security As FinTech continues to evolve, it is important to make sure that not just anyone can access your personal financial information. Although FinTech provides customers with more opportunities, it also makes them more vulnerable to cyber attacks. Another trend this year is the overall increase in cyber security for financial institutions. One thing they’re using more is biometric scanners, including face scanners and fingerprint scanners. These scanners help significantly against preventing fraud. Additionally, the use of biometric scanners is faster and easier for customers, making them extremely popular. Utilizing biometric scanners in addition to blockchain technology will help make sure your data is even safer in the coming years. Companies are having to change to better meet the needs of their customers. Customers today are much more familiar with what technology is on the market, and financial companies must grow to make sure they are meeting the wants and needs of their customers. With the help of AI, financial companies will be able to automate more processes and increasingly stabilize their systems. To maintain a successful business, you absolutely must familiarize yourself with new technology and trends that will affect your business. The largest financial trend in 2019 is more organizations adopting technology to make their businesses successful. About the Author Kyleena Harper is Blytheco’s Marketing Writer/ Editor. She has 10 years of writing experience and a love for all things grammar related. Currently, she’s discovering a new passion for software and technology. Connect with her on LinkedIn at www.linkedin.com/in/kyleenaharper. egardless of your industry, we can all acknowledge that today’s market is extremely competitive. All businesses have the same endgame in mind: operate a successful and profitable business. However, not all companies know exactly how to get there. It’s no secret that one of your strongest weapons is your employees. However, having a productive workforce is only half the battle. Your real secret to success lies with your engaged employees. Companies with high employee engagement scores are more profitable, successful, efficient, and happier overall. Increased Customer Satisfaction and Retention You know the saying, “a smile is infectious?” Well, it’s true! Not only are smiles infectious but so are happiness and passion. If your employees are plugged-in to the company goals, feel valued, are passionate, and are happy about the role they play, then they will pass that on to your customers. Engaged employees deliver a better sales pitch because they believe in what they are saying. These employees go above and beyond for their customers because they genuinely care about the success of the organization. Your customers will respond positively to the level of care they receive, will be far more likely to spend money with you, and will often refer you to other potential customers. Improved Employee Retention The people within your company are your biggest investment financially. We know that hiring and training new employees is a huge drain on resources, and it has a significant cost to the business. Retaining your best people is crucial to your success. Engaged employees are heavily invested in the success of the organization; they are more involved, more dedicated to their role, and far less likely to leave. Unfortunately, losing engagement and losing your employees will not only add stress to the remaining employees, but often more will follow in their footsteps. Keeping your employees engaged and happy will reduce turnover and save tremendous time and money in the long run. Amplified Productivity The quickest way to increase success and profit is to increase productivity. This seems like a no-brainer; however, you can’t force your employees to work harder. You also can’t make them want to work hard for you—their drive for productivity needs to come from within. The best way to increase productivity naturally is to keep your employees engaged. Employees who are succeeding in their role and feel valued are far more likely to work hard for you. They are happy to come to work and give 110%. The best part is, once an employee is engaged, they are then more likely to take on additional challenges, help where needed, invest in their role, and grow within the organization. Make sure to share both positive and constructive feedback. Many employees who receive little positive feedback and no constructive feedback tend to feel that their employer isn’t invested in their performance. As a result, they can become disengaged quickly. Maintaining a strong work/life balance can be tough for some companies, especially in situations where you are short-staffed or have employees wearing multiple hats. When it comes to balance, many times all you really need to achieve a high level of engagement is awareness and flexibility. Employees don’t mind working hard, but acknowledgement of their hard work is appreciated. They also don’t mind putting in extra hours, but they may prefer to do that from home. Being aware of the over worked employees—and being flexible and understanding in their wants or needs—is crucial. 2. Improve Your Company Culture This is a lofty topic and is not an overnight fix. However, the best way to create engaged employees is through a positive and authentic company culture. A great place to start is to ensure that employee engagement is a companywide goal. While this sounds simple, many companies have difficulty tracking this metric. Successful companies must ensure that the happiness of their employee base is a metric they are invested in. Check in on this goal often! 3. Implement Employee Engagement Software This initiative is straight forward and well worth the investment. Just like other areas of your business, analytics, KPIs, reports, and dashboards give you visibility and allow you to make informed decisions about your business. Solutions like focal360 by CustomInsights gives you a level of visibility while assuring anonymity to your employees. As we know, employees are far more likely to give honest feedback anonymously. Launching these tools will be your biggest driver for improvement. 6. Attain Stronger Leadership Many studies have shown that employees quit leaders, not companies. A bad manager at a great company is worse than a great manager at a bad company. Hiring good leaders and promoting good leadership within the organization is crucial to happy and engaged employees. This also means investing in your leadership team, providing proper training resources, investing in seminars, and meeting regularly to ensure alignment across the organization. Additionally, when hiring leaders, you need to hire for attributes. Compassion, empathy, accountability, trust, and integrity are all attributes you should look for in a future leader. It’s okay to be picky about who is running your organization. 4. Communicate to Your Employees Communication with your employees involves more than just daily emails; rather, it involves organizational transparency. Communicate your company goals, financials, performance, areas of improvement, vision, and challenges. If you communicate often and include your employees on what’s going on within the business, they are far more likely to communicate and invest in return. For questions about this content, help understanding how you could benefit from increased employee engagement, or assistance exploring employee engagement tools together, simply call me at: 949.583.9500 x1168. I would love to help. About the Author Samantha has been working with Blytheco for over 4 years with a sole focus of helping to better serve the clients. With over 8 years of marketing knowledge and experience working with start-ups & small businesses, she’s able to generate content that is both informative and relevant. She is passionate about helping growing companies reach their business goals through the use of proper software and processes. Connect with Samantha on LinkedIn at https://www.linkedin.com/in/samanthagoniea. MEASURE EMPLOYEE ENGAGEMENT AND SATISFACTION. ow do you make your employees more interested in the business and the industry? It’s a persistent concern among human resources and just about every executive. That’s why a story that one CEO recently told me stands out. This CEO challenged several of her managers to solve a problem the firm faced. They ended up creating a clear, direct benefit to the organization—by working with the firm’s data. Their tools: Tableau, Power BI, and DataSelf Analytics. She told a handpicked group of three mid-level managers, “Take a look at the data and pretend you’re the CEO. Tell me what you would do about this tricky, long-term dilemma.” That same dilemma had stumped upper level executives. They had already spent months mulling over the options. They had brought in experts and pored over research. The solution hadn’t quite materialized—but then one of the CEO’s mid-level managers piped up with an idea. “For me,” recalled the CEO about the moment she heard the idea, “it was one of those slap-your-forehead moments. Like, why didn’t we think of it?” In one stroke, her faith in self-service business intelligence and data discovery came alive. With a few tweaks, the idea proved to do the trick. Not all managers have taken to the new openness, of course, but plenty have. Within six months, the firm’s executives noticed a surge of interest in the industry. Even non-managers had started talking about the industry during lunch breaks, with many citing industry news they’d read. They even saw signs that conversations over lunch and other informal gatherings had less to do with sports and entertainment and more to do with business. can I even mention the firm or industry. Let’s just say it’s a good example of stories I hear now and then. When upper executives make partners in data with their people, insights and solutions often arise. Since then, the CEO has tried the new approach several more times. She has had several insights. 1. Her firm has more to gain from sharing data than in restricting it. She has instituted a new policy of greater openness with data. 2. Data analysis challenges people to make use of their domain knowledge. They find it satisfying, and they naturally become more engaged. Many of those who are initially disinclined toward data analysis learn to like it. 3. Retention and loyalty improve. When people feel engaged, they feel more invested—and so they invest more. 4. Proper data tools more than pay for themselves. Tools like Tableau, designed for intuitive ease of use, encourage lucid thought and actually make data analysis enjoyable. They float like trapeze artists from question, to insight, to more questions, and more insights. 5. Domain experts come up with better insights. They know their work intimately, and they know the problems and what will work or won’t. Often, executives ponder from afar. We realized that employees really do want to be part of the business. All we did was give them the tools to do it. About the Author Joni Girardi is founder and CEO of DataSelf. DataSelf Analytics provides enterprise-grade business intelligence to mid-size organizations of all industries. He launched the company as a consultancy 16 years ago to help small- and medium-sized businesses get value from their data. Today, DataSelf features a data warehouse, ETL, and embedded Tableau. It also features more than 5,000 starter reports, dashboards, and KPIs. No DataSelf Analytics user has to wait for IT before creating value. Streamline shipping, customer service, and billing processes. Rate shop between parcel or freight shipments. tephen Blythe always knew that he wanted to own his own business. Growing up, he watched his parents run their small store in England, and he knew he wanted to create his own company. “I have early memories of my parents defining success as being independent business owners,” he explained. In his senior year of high school, he was in a business class where he mapped out a business he thought would be perfect: “I liked foosball and pool, so my business concept was a billiards store selling pool tables and foosball tables,” Blythe said, chuckling. Luckily for us, he discovered his true passion in college. The CPA Years Unfortunately, there was a recession during Blythe’s first year at Price Waterhouse which idled many of the staff. “I went from going to school full time, working full time to put myself through school, and now I’m sitting around doing nothing, twiddling my thumbs,” Stephen said. “It was driving me crazy.” He volunteered with a partner who was focused on business development, and they began developing business models to support financing requests. Stephen was running a team of 20 accountants doing financial forecasting and modeling on paper and pencil. It would take them a whole week to do one reiteration of this model. Having purchased an Apple ][ computer and Visicalc, Blythe figured out a way to speed this process to a single day and one person. After putting the paper model onto the Visicalc, “we were off millions of dollars!” Blythe brought his findings to the partner, who had the team validate the computer calculations again to confirm, and it showed the computer model was correct. Stephen was then able to purchase an Apple /// computer to continue his work, and he was loving it. That is, until he was told that in order to progress at the company, he would need to move on to tax or audit. “No one at Price thought that these micro computers were going to go anywhere,” Stephen concluded. This was extremely disappointing to Blythe, who loved working with computers and business owners looking for financing far more than he did basic accounting. While he was contemplating his next step, he received a job offer from a competing firm, Ernst & Whinney. He accepted, received a great raise, and continued his work with computers. While there, he expanded his computer consulting and development work. He wrote a random number generator program to be able to audit through a computer instead of around it. At the same time, he was traveling around the west coast and back to Cleveland, Ohio teaching computer classes. Stephen begins to acquire other resellers. Blytheco becomes Stephen’s full time job. Transition starts for Stephen to retire and Lori and Phil to own Blytheco. Stephen, building the furniture in Blytheco’s first office. Stephen going above and beyond to show how high he’ll jump for Blytheco clients! Stephen attending a trade show to represent Blytheco. The Retirement Years Although Stephen is “officially retired,” he’s not going anywhere. Blythe is an active member of the new Board of Directors for Blytheco and is also available in a consulting capacity to Lori and Phil for the next several years. But, he does have a lot more free time now than he did in the last 40 years. And, he’s looking forward to using it. “I work with a dozen charities and non-profits,” Blythe affirmed, “so I do a lot of fund raising—charity flights, medical clinics in Mexico, and other things, so that keeps me quite busy. I look forward to spending more time with my wife and family and continuing our many travel adventures.” He’s also involved in a travel and scuba group and several flying organizations. Stephen and his wife Kathi on a trip in Antarctica. Stephen with his Beechcraft Bonanza plane. Stephen plays a round of golf. 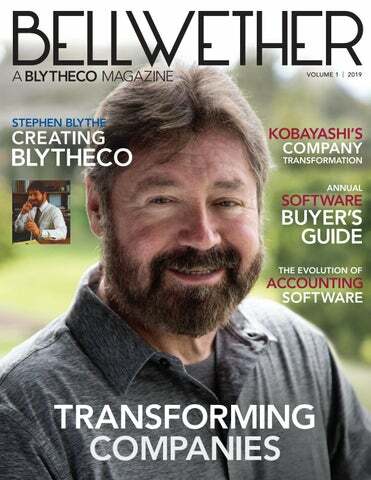 LEADERSHIP Blytheco’s Passion of Transformation Blytheco’s passion is Transforming Companies. Our spirit of transformation extended to our own business as we announced the thoughtful succession of business ownership from Stephen Blythe to Lori Seal and Phil Sim on January 1, 2019. We are excited to carry forward Blytheco’s legacy while innovating in new ways. Our Blytheco Evolution We are focused on a number of company priorities. These include: Quality team members who are passionate to serve you. •	At Blytheco, culture is everything, and we measure it annually. Blytheco had the highest employee engagement score the survey firm has seen out of 4,000 companies. •	Blytheco continues to bring great new talent into the business, including our CFO, Chad Gardner. We are also adding seasoned consulting and sales team members who are wired to take great care of our clients. •	As part of our spirit of continuous learning, our team members are growing their skills and capabilities as they engage in professional development. Our New Advisory Board We have formed an outstanding advisory board consisting of three amazing mentors and industry leaders—Stephen Blythe, Blytheco’s founder; Dave Butler, who served formerly as CEO of Paciolan, President of Ticketmaster and President of Sage; and Tim Leyden, who served formerly as President of Western Digital, COO and CFO of Western Digital, and CFO at Sage. We had our first official board meeting in February 2019, and it was a fantastic time to chart Blytheco’s next season. •	Lastly, our development organization is hard at work tailoring solutions to ensure a true fit for truly unique requirements. Increased insights, information, and training. •	We seek to be a trusted advisor. We are investing in ways to offer more resources to deliver insights and training, all designed to support this amazing ecosystem of business leaders and software users. •	Blytheco’s marketing team is surrounding all this with beautiful experiences to promote proven ways our clients can transform. As Blytheco focuses on our own transformation, we’ll be further strengthened in our mission to enable our passion of Transforming Companies. Should you have any ideas or recommendations to that end, we’d love to hear from you! We close out with gratitude and heartfelt well wishes for a fantastic 2019 and beyond! Thank you! What hobby do you enjoy outside of work/being on the Board? Running a successful business for 39 years, serving thousands of clients, and mentoring hundreds of employees! The many accolades Blytheco received during this journey is just icing on the cake—Ernst & Young Entrepreneur of the Year award, Orange County Business Journal awards, and numerous Publisher awards. Each helped serve as a reflection of the passion and dedication of the Blytheco team, our commitment to take care of our clients, and to be the best in our ecosystem. Being the best husband I can be to my amazing wife Kathi. Time permitting, I love flying my plane around the world, or teaching formation flying. When not flying, I love scuba and underwater photography because both scuba and flying have taken Kathi and I to the corners of the world on amazing adventures with some great friends. Golf is another hobby I am still trying to master. If you want to get to know someone, observe them for 18 holes and you will have a good summary of who they are. I have been playing since 13 and still no hole in one. One day! What’s your motto or personal mantra? I try to live life to the fullest, experience new things, and try to keep a positive view of the world and opportunities around me. At the same time, I try to give back either through mentoring or charity work and fundraising. Best advice you’ve given or received? Marry the right person, as they will determine 80% of your happiness. Happy Wife, Happy Life. How did you wind up in the software industry? Best advice you’ve given or received? I was receiving my degree in accounting when I was hired on by Sage. I spent 13 amazing years there growing my career while Sage experienced explosive growth and numerous software acquisitions. It was a rocket ship ride and a time to learn so much! Reflect and know your passion and gifts. Know your why. Then, dream big and challenge limits. Create a roadmap for success and surround yourself with great people. Never stop learning and growing. Oh, and have fun. While I have had so many fantastic adventures with Stephen—flying in planes, petting whales in Baja—my fondest are our great business talks. Stephen was one of those mentors where I could pull up a chair and talk about any number of topics; from business philosophies to company strategies, and family pursuits. Having the opportunity to become an owner at Blytheco was such a special experience. I am delighted to carry on the significant legacy Stephen Blythe had formed. I have a great Blytheco partner in Phil Sim and we have a special new advisory board consisting of my amazing mentors. It is a dream come true. What’s your motto or personal mantra? Excellence. Any job worth doing is a job worth doing right! What is your fondest memory of Stephen? What are you most excited about as a member of the Blytheco team? I love our Blytheco culture. Our team is so passionate about our clients and our company family. Together we can achieve incredible things. What are you most excited about as a member of the Blytheco team? There are so many things to be excited about as a member of the Blytheco team. If I had to pick one, it is the fact that we’ve assembled an amazing executive team and a super star advisory board. The experience and wisdom ranging from Dave Butler to Tim Leyden to Stephen Blythe is a sight to behold, and I leave all of our interactions in awe. As we leverage our amazing advisory board, the sky is the limit as Blytheco continues to grow and moves into Blytheco 4.0. My number one love outside of Blytheco is my family. I have an amazing wife, Kimberly, and the two best kids in the world, Kayla and Aidan. Both are in high school and I’m dreading the day they leave for college and move out of the house. In the meantime, I love doing anything and everything with them, including trips when we have the opportunity. I’m doing my best to not take our time together for granted. If I’m able to get my running or golf in at the same time, even better! Best advice you’ve given or received? The best advice I’ve received, and continue to practice every day, is to enjoy life and have fun. I have to thank my friend and mentor, Stephen Blythe, for that. Life is too short to take everything seriously. Why not integrate fun into everything you do? What comes out of it are amazing experiences and relationships, not to mention good feelings and emotional well-being. What hobby do you enjoy outside of work/being on the Board? Being from Idaho, I love being outside mountain biking, wake boarding, and working on my archery skills. When I want to be made fun of I play golf with Stephen Blythe. I’ll hit a nice ball or two in a round only to hear, “Even a blind squirrel finds a nut every now and then.” What are you most excited about as a member of the Blytheco team? I am honored to serve on the board given the high-caliber of experienced and energized board members assembled. Excited is simply too subtle a word to describe how thrilled I am to collaborate on the next chapter for Blytheco, its amazing employees, and the customers we serve. I am most inspired by the vision of the board and for the positive transformation we will bring to our clients. Best advice you’ve given or received? I’ve been lucky enough to have some incredible mentors in my life/career who have given me advice over the years. It’s difficult to share just one of the many great insights I’ve received, but the one I consistently refer back to is that life is about choices. You’ll make good ones and some bad ones, but you live with those choices so be thoughtful about them and completely own the outcome. To date, what professional achievement are you most proud of? Although completing the sale of Blytheco to Lori and Phil was a crowning moment, I deeply believe that my proudest moments as a professional have been coaching and mentoring other professionals to realize their potential and helping guide their next steps of advancement. Best advice you’ve given or received? After my heart attack a friend shared this with me, and gave me a string bracelet to remind me of it each morning. “Be present every day. You cannot change what happened before today so don’t let yourself be dragged down by regret, and you cannot take action on things that happen tomorrow, so don’t stress about the future. Do the best you can to be present in each current moment, live it to the fullest, be grateful, and make the most of every day you have.” I have not taken off the string bracelet in the 5 years since, and I continue to follow her advice to the best of my abilities. What’s your motto or personal mantra? I believe success in business in the simplest form comes from working hard, doing the right thing for both customers and employees, and having fun as a team. How did you wind up in the software industry? I’ve always been a hardware industry employee during my career prior to joining Sage in late 2001. Jim Eckstaedt (the CFO of Sage North America) and I had worked together in Western Digital earlier in my career and Jim asked me to interview for the role of CFO in the Mid-Market Division of Sage N.A. It was a complete change of industry direction for me at that time. I was interviewed by Jim and Dave Butler, and they took a chance on me as a software industry novice. I thoroughly enjoyed my 6 year stint in Sage Software. Best advice you’ve given or received? There is no traffic jam when you go the extra mile, and it makes a person stand out in the crowd. Automation, increased visibility, streamlined operations, improved efficiency, reduced operational costs; these are some of the top initiatives for businesses in 2019. The key to making significant improvements in all these areas lies with proper business processes and effective business software. We understand that navigating todayâ&#x20AC;&#x2122;s software and technology market can be an overwhelming task. Whether you are looking to replace what you have today, enhance an existing solution, or add functionality to your business, this guide can help. Our team consistently scours the market to bring you the most relevant and compelling software solutions and add-ons for small-to mid-market businesses. This guide was designed to help you explore the options available to you as well as help lead you through the necessary software considerations to help you grow your business. Take your time browsing this guide. If at any point you require more information regarding a product, or wish to explore pricing, compatibility, product benefits, or solution demonstrations, our team would be happy to help. HUMAN CAPITAL MANAGEMENT Ascentis Cloud Human Capital Management Platform www.blytheco.com/ascentis Ascentis is a feature rich, fully integrated Human Capital Management suite designed for mid-market businesses. This platform automates and streamlines core HR processes to save you time and money. Within this suite of software, you can easily manage major functions such as payroll, applicant tracking, recruiting, training and onboarding, employee self-service, analytics, benefits, time and attendance, and more. Sage HRMS On-Premise Human Capital Management Platform www.blytheco.com/sage-hrms Sage HRMS is a complete human resource management solution for small- and mid-sized businesses. With the ability to add on and integrate modules such as payroll, benefits, training, recruiting, employee self-service, analytics, time and attendance, check printing, and more, Sage HRMS helps you manage all aspects of your employee lifecycle. Garnishment Manager Garnishment Manager www.blytheco.com/garnishment Works with: Sage HRMS Sage HRMS Garnishment Manager, a Sage Endorsed Solution, relieves the payroll staff of the tedious, time-consuming, and often error-prone tasks of calculating and prioritizing complex garnishments for child support, tax levies, student loans, and creditor liens. Employee Engagement Survey www.blytheco.com/engagement Works with: N/A (stand-alone software) Custom Insights is a cloud-based employee survey solution that is easy to set up and administer. Vastly different than a simple employee satisfaction survey, it goes deeper with time-tested survey questions written by psychologists. Measure your results against thousands of other companies who have answered the same questions. HR Actions Paperless Forms and Workflow www.blytheco.com/hr-actions Works with: Sage HRMS Streamline the collection and approval of employee data using the web. HR Actions lets you easily create paperless forms using any fields from Sage HRMS. Process any action for request—from hiring, to termination, and everything in between—including status changes and performance appraisals. Cyber Recruiter Recruitment Management www.blytheco.com/cyber-recruiter Works with: Sage HRMS Improve your hiring efficiency with an end-to-end recruiting and onboarding process automation solution that scales and adjusts to your unique needs. Cyber Recruiter by Visibility Software allows you to easily create and approve job requisitions, schedule interviews, handle offers, and much more. Cyber Train Training Management www.blytheco.com/cyber-train Works with: Sage HRMS Sage HRMS Cyber Train, a Sage Endorsed Solution, empowers supervisors, instructors, and employees by making information regarding classes, course requirements, programs, and certifications available through the web and not just through the HR department. iConnect Applicant Onboarding www.blytheco.com/iconnect Works with: Sage HRMS iConnect is intuitive and user friendly. Your new hires automatically receive the appropriate hiring package via email and can sign in securely to the iConnect Applicant Portal to complete the forms and upload any supporting documentation. You can track and monitor the status online, send reminders, and approve or request changes before the forms are finalized. iRecruit Applicant Recruiting www.blytheco.com/irecruit Works with: Sage HRMS iRecruit is a cloud-based, powerful, and flexible applicant tracking and recruiting software. Attracting and hiring top level talent has never been more efficient and cost effective. Payroll Tax Forms and eFiling Payroll Management www.blytheco.com/aatrix Works with: All Sage ERP solutions; Sage HRMS With Sage Payroll Tax Forms and eFiling by Aatrix, you can meet all state and federal reporting and payment requirements right from your Sage HRMS software. It is easy to use and saves you time by eliminating the need to create reports manually. Reports are automatically completed, reviewed, edited, eFiled, and processed in minutes. Sage Active Directory Conduit (ADC) IT Data Synchronization www.blytheco.com/active-directory Works with: Sage HRMS Employee data is often housed in multiple systems: an HR management system and a Microsoft Active Directory Repository. Staffing changes, as well as changes to an employee’s data, usually requires redundant entry efforts by both HR and IT. Sage ADC eliminates the need for manual re-entry by automatically populating attributes from your Sage HRMS database into the Active Directory data store. Sage Benefits Enrollment (BE) takes the powerful benefits management solution of Sage HRMS to the next level by enabling employees to make their own benefit elections through the internet or intranet. Set-up wizards in Sage BE support multiple open enrollment projects, making it flexible to your needs. Employees and administrators alike can enjoy a host of features, such as 24/7 access to data via the internet, election comparisons, automated workflows, and more. Sage My Workforce Analyzer helps you answer critical questions concerning the Affordable Care Act. It is a unique cloud-based dashboard and analysis tool that tracks and analyzes your company information so you can make informed decisions about healthcare and the requirements of the ACA while managing your costs. Sage Benefits Messenger Benefits Management www.blytheco.com/benefits-messenger Works with: Sage HRMS Sage Benefits Messenger simplifies the process of communicating with benefits carriers. It automatically reformats the data already in your Sage HRMS system and sends it to your carriers on your behalf. Sage Benefits Messenger also eliminates the costly errors associated with duplicate data entry and “missed enrollments” both during annual open enrollment periods and for employee changes throughout the year. www.blytheco.com/sage100/payroll.asp Works with: All Sage ERP solutions; Sage HRMS Companies with more than 10 employees can enjoy the outsourced ease of Sage Payroll Service. You’ll enjoy a full range of payroll, HR, and time management solutions. Sage Payroll Service comes with dedicated support from a certified payroll expert who is also on call for questions. You’re covered with filing and payment of your payroll taxes. Sage Time and Attendance by Insperity is a comprehensive, state-ofthe-art workforce management solution that enables you to collect, analyze, and take immediate control of your employees’ attendance and labor data—online and in real time. It automates your processes by integrating seamlessly with Sage HRMS through a secure Microsoft Windows® environment. Works with: Sage HRMS Sage Employee Self Service provides a central location for employees, managers, and administrators to view and manage important personal data and company information. Instead of the HR department wasting time fielding routine inquiries about time off, current benefits, or other job details, you can empower your employees and managers to be self-sufficient. Give them access to their information any time, any place, over the internet or company intranet with ESS. Sage HR Actions Dynamic Forms Checklist Onboarding Forms Management www.blytheco.com/delphia-paperless-w4 Works with: Sage HRMS Streamline your on-boarding process through a guided online checklist of forms designed to make the routine completion of required forms easy for employees. Sage HR Actions Dynamic Forms Checklist by Delphia Consulting, a Sage Endorsed Solution, lets you easily create specific forms that each employee must complete that will dynamically appear within Sage Employee Self Service (ESS). www.blytheco.com/labor-import Works with: Sage HRMS Sage Time and Labor Import by Delphia streamlines the process of validating and importing data from almost any data source into the Sage HRMS Payroll file with an easy-to-use interface. Importing time, data validation, code translation, and reporting are standard capabilities of Sage Time and Labor Import. Sage HRMS OrgPlus Organizational Charting www.blytheco.com/orgplus Works with: Sage HRMS With Sage HRMS OrgPlus, employees and managers receive easy access to up-to-date organizational charts that give them the information they need to understand the business and plan for the future. Managers can strategize different business scenarios and measure their impact using built-in formulas to measure headcount, salaries, or other important planning information. Works with: Sage HRMS Allow WOTC from CMS Tax Credit Services to help your company maximize your tax credit savings. Their team searches all new federal and state legislation to optimize the employment tax credits, so you save more. CMS’s secure WOTC web portal provides a simple tool to collect all required forms and information. CMS’s push technology notifies your administration team of events. You’ll easily stay in compliance with all federal and state policies including the 28 Day Rule. Acumatica allows you to manage your entire business on one platform. With a flexible deployment model and all-inclusive licensing structure, Acumatica enables a real-time view of your business anytime, anywhere. Easily manage financials, CRM, business intelligence, distribution, eCommerce, manufacturing, warehouse management, field service, and more. Sage 100cloud (formerly MAS 90/MAS 200/Sage 100) is a fully integrated business management solution with superior architecture that grows with your business. It offers full-featured accounting, manufacturing, and distribution functionality, with the ability to add integrated eCommerce, HRMS, CRM, and more. It gives you the foundation for connecting your business to provide a better customer experience, increase revenue, and the ability to make better business decisions. NetSuite Cloud ERP Software www.blytheco.com/netsuite Trusted by more than 40,000 organizations, NetSuite unifies all your day-to-day operations on one robust cloud platform. As an industry leading cloud ERP, NetSuite provides a flexible all-in-one solution for managing advanced financials, global distribution, custom KPIs, advanced reporting, business intelligence, customer management, eCommerce, manufacturing, and more. Sage Business Cloud Enterprise Management (EM) Cloud or On-Premise ERP Software www.blytheco.com/sage-x3 Sage Enterprise Management (formerly X3) offers companies a robust business management solution to optimize procurement, warehousing, production, customer service, and financial processes with specific strengths in manufacturing automation and process manufacturing. Avatax Sales Tax Automation www.blytheco.com/avatax Works with: Acumatica; NetSuite; Sage EM; Sage 100cloud; Sage 500 Avalara’s Avatax is a hosted, web service-based sales tax automation solution that automatically performs address validation, sales tax jurisdiction research, and rate calculation—all on the fly within your accounting application with no change to your existing workflow. Fully detailed reports are always at your fingertips and returns are automatically repopulated and generated. www.blytheco.com/acom Works with: Sage 100cloud; Sage 500; Sage EM Accounts Payable Automation from Acom is a powerful document management and process automation solution uniquely integrated with Sage to capture, manage, and streamline processing of all business information. It provides a secure, compliance-ready repository which is immediately accessible within Sage screens. B2BGateway Electronic Data Interchange (EDI) www.blytheco.com/b2bgateway Works with: NetSuite; Acumatica Since 2000, B2BGateway has been providing easy-to-use, fully integrated EDI solutions for NetSuite and Acumatica. Orders are received by B2BGateway, translated into a NetSuite format, and automatically put into a NetSuite user’s account. When you log on, your new orders are there for you to review and accept. B2BGateway can also automate your outbound transmissions to your trading partners. Works with: Sage 100cloud Automated Rental Management, or ARM, is an equipment rental software module for Sage 100 developed by BCS ProSoft. ARM is built on the framework of Sage’s accounting and inventory modules—delivering a unified inventory management system. eRequester makes procurement and expense management simple with its powerful approval workflow engine, support for multicompany, detailed reporting, and deep integration for supported Sage ERP systems. FieldAware’s open API makes integrating field service management into your ERP system practical and profitable. Give your field technicians the ability to generate new quotes and work orders while in the field. They can also easily update customer and financial data in real time from the field…and that’s just the beginning of how FieldAware can transform your business. Developed by NRT Business Solutions for businesses that work with the government, the S2 Project Accounting™ module offers a complete solution. The S2 Project Accounting™ module delivers features such as cost collection, multitier project set up, unlimited pool set up, cost allocation, reporting, automated billing, and other powerful attribute necessary for government contractors. The resulting benefits make this solution the preferred choice of mid-market government contracting firms. Mapadoc is SWK Technology’s easy-to-use EDI software solution that integrates seamlessly into various ERP software solutions. Mapadoc will help your company dramatically reduce data entry time and costs, eliminate duplicate entries, reduce mapping time by over 75%, and improve communication with trading partners. You can use Mapadoc as an easy turn-key EDI solution or as a highly configurable end-to-end supply chain solution. CUMC Multi-Currency Multicurrency Add-On www.blytheco.com/multi-currency Works with: Sage 100cloud Developed by DSD Business Systems, this add-on is for international and multinational companies that transact business in multiple currencies. It provides a comprehensive solution, with flexibility and ease of use, for companies that operate in multiple currencies and need greater flexibility for their operations abroad. Five core functions are available: Currency, General Ledger, Accounts Payable, Accounts Receivable, and Bank Reconciliation. www.blytheco.com/sage100-payroll Sage 100 Payroll makes in-house payroll preparation easy and efficient, providing you with the ability to process at a fraction of the cost and time of a manual payroll system or outside service bureau. Payroll automatically applies earnings and deductions and calculates employee and employer payroll taxes. It also prints checks and vouchers, complete with year-to-date earnings and tax information. All current federal and state tax tables are included, and updates are provided as an on-plan business care benefit. Sage Managed Payroll Services Payroll www.blytheco.com/sage-payroll-service Works with: Sage 100cloud Outsource your payroll so you can focus on your business. Whether you are looking for a full-service payroll solution or you want a better experience than you have with your current provider, Sage 100cloud (version 2016 and up) offers enhanced integration with Sage Payroll Services. This allows you to upload general ledger account numbers and bank codes to Sage Payroll Services and easily download payroll transactions back into Transaction Journal Entry. PrintBoss Print Management www.blytheco.com/printboss Works with: All Sage ERP software solutions; Sage HRMS PrintBoss makes your live check and Direct Deposit Advice (DDA) documents smarter. It adds the intelligence and extra security to the printing of critical bank and live check required data such as the MICR line, bank fractional code, and live check signatures. It also allows for secure archiving and the ability to save PDF versions of any HRMS payment that are printed from the PrintBoss application. Service Pro® Field Service Management www.blytheco.com/field-service-software Works with: NetSuite; Sage 100cloud MSI Data is the developer of Service Pro®, the “All-in-One” Field Service Management Software solution that integrates seamlessly with Sage 100cloud and NetSuite. Service Pro® automates office to field communication in the areas of work orders, dispatching, scheduling, labor time, parts/inventory, assets, warranties, maintenance contracts, tasks, inspections, photo and signature capture, service history, and more. Sage Manufacturing Manufacturing Automation www.blytheco.com/JobOps Works with: Sage 100cloud Sage Manufacturing (formerly JobOps) is a fully integrated manufacturing suite compatible with Sage 100cloud. With Sage Manufacturing you can easily automate, customize, and manage product configurations, dispatch technicians, calculate project and job costs, schedule jobs, manage work tickets, and more. Sage Payment Solutions Credit Card Processing www.blytheco.com/sage-payment-solutions Works with: All Sage ERP software solutions Sage Payment Solutions offers your business more ways to accept and process payments, so you can provide your customers a superior experience. Accept payments wherever you are—your retail store, a customer’s location, on the phone, on the web, or by e-store—and say hello to improved cash flow, expanded sales channels, and reduced transaction costs. Plus, you can synch all payment transaction data to your back-office accounting and ERP software with ease. SmartClient Excel-NetSuite Integration Tool www.blytheco.com/smartclient Works with: NetSuite The Celigo SmartClient provides a seamless integration between Microsoft Excel and NetSuite. SmartClient users can access and edit NetSuite data directly from within Excel, in real time and with a single click. Take full advantage of SmarftClient’s data manipulation functions to retrieve, update, add, and delete NetSuite data from multiple record types. TrueCommerce Electronic Data Interchange (EDI) www.blytheco.com/truecommerce Works with: Acumatica; NetSuite; Sage 100cloud; Sage 500; Sage EM TrueCommerce from HighJump is everything you need to easily and fully implement an EDI system from one source. Whenever your business grows and you acquire new customers that require EDI, all you need to do is request an affordable software plug-in that allows your current system to interact with a new customer or vendor. Simple! Vertex SMB Sales and Use Tax Automation Solution www.blytheco.com/vertex-smb Works with: NetSuite; Sage 100cloud With seamless integration to several ERP systems, Vertex SMB’s TaxCentral handles sales tax calculations and returns in one comprehensive solution, completing the fully-automated process with a signature-ready PDF for filing and remittance. Benefits include access to the most recent tax rates and rules, real time reporting for more productive operations, and efficiency in producing signature-ready returns with immediate integration to your tax calculation detail. JOScan Barcoding and Scanning Solution www.blytheco.com/joscan Works with: Sage 100cloud JOScan from Scanco is a handheld and/or desktop barcode scanning and data collection solution. It is designed to allow manufacturers and field service organizations to minimize costs, maximize productivity, and maintain a competitive edge in today’s marketplace. ACS Multi-Bin and Warehouse Management provides a seamless multi-bin and warehouse management system (WMS) functionality integrated for Sage 100cloud. It is flexible, easy to set up, and its design facilitates ease of use. It can also be built for more advanced needs utilizing WMS features. It is compatible with most extended solutions, developer enhancements, and business object integration. Datalinx Warehouse Manager Warehouse Management Solution www.blytheco.com/datalinx Works with: Sage 100cloud; Sage EM This Sage-certified warehouse management solution for Sage Enterprise Management will redefine control, efficiency, and accuracy. Increase stock location accuracy by 25%, increase the speed of picking by 25%, provide 75% stock count efficiency, and maintain an inventory accuracy of 99%. Scanco’s ONE is an integrated warehouse management, automation, and manufacturing solution. Streamline every aspect of your manufacturing with the latest technology. ONE Software Solution is on IOS, Android, and Windows Mobile. OzLINK Logistics and Warehouse Management www.ozdevelopment.com/solutions Works with: NetSuite OzLINK is a flexible product that integrates seamlessly with NetSuite ERP. OzLINK allows businesses the ability to optimize order management process with tailored solutions that streamline and automate eCommerce, warehouse, and shipping processes. ProcessWeaver xCarrier shipping software offers a range of innovative multicarrier, multimodal, and multiplatform solutions to solve complex industry logistics challenges. Edisoft offers a suite of fully integrated warehouse automation solutions designed to streamline inventory processes, shipping, and operations. Edisoft incorporates EDI technology and integrated shipping carrier management for a comprehensive warehouse management solution. Fusion Warehouse Management Solution www.blytheco.com/fusionwms Works with: Acumatica Fusion Warehouse Management provides both store-level inventory management and full warehouse capabilities. This includes shipping, receiving, physical count, FedEx/UPS integration, and more. Connect to virtually any Windows CE device and manage inventory with ease. RF-Smart Barcoding and Scanning Solution www.blytheco.com/rf-smart Works with: NetSuite You’ll be able to increase your inventory accuracy and customer satisfaction with RF-SMART’s barcoding solution for NetSuite. RF-SMART is an industry leading product that meets NetSuite’s highest standard for SuiteApp Solutions. Works with Advanced Bins, Bin Management, and even No Bins. The cherry on top: it was voted 2014 SuiteCloud Developer SuiteApp of the Year! Sage Inventory Advisor is an affordable cloud solution that helps companies reduce excess inventory and working capital, while eliminating stock-outs. It slashes time spent on forecasts and ordering. It connects to Sage ERP data to deliver real-time health-checks on the inventory that makes a difference to the bottom line, reduce the time spent on forecasts, and resolve the optimal investment required to achieve target fill rates. StarShip, created by vTechnologies, is a trusted solution that makes the entire shipping process more fluid. Plus, when combined with the pick, pack, and ship feature built into the Sales Order module, StarShip helps your company become a more competitive business. It even has the potential to reduce shipping and shipping-related expenses. Savant WMS Software Warehouse Management Solution www.blytheco.com/savant Works with: Acumatica Savant WMS Software allows businesses to manage and track the movement of inventory from receiving through shipping. Savant WMS dramatically cuts warehouse costs by eliminating paper work and costly shipping errors, improving staff productivity, and providing accurate inventory levels to all intercompany departments. SPS Commerce Supply Chain Management www.blytheco.com/spscommerce Works with: All ERP Software Solutions One hundred percent cloud based, SPS Commerce provides omnichannel supply chain solutions for retailers. From fulfillment (EDI), to sourcing, to analytics and beyond, SPS Commerce’s suite of tools has made them a recognized global leader in retail. ScanForce Warehouse Automation; Scanning and Barcoding Solutions www.blytheco.com/scanforce Works with: Sage 100cloud With ScanForce Warehouse Management, all warehouse processes can be performed using mobile barcode scanners that transmit data directly into Sage 100cloud. Eliminate errors and improve inventory and data accuracy with this add on. Scanco Warehouse and Manufacturing Automation www.blytheco.com/scanco Works with: Acumatica; Sage 100cloud; Sage 500 Scanco specializes in an extensive line of products designed to increase warehouse productivity. From basic barcode label printing to wireless inventory management, there is a solution to fit every budget and need. Users can also use iOS, Android, and Windows Mobile devices with Scanco, lowering hardware costs significantly. www.blytheco.com/odyssey Works with: Sage 100cloud WIN™ (Web Integrated Network) is the no-cost, no-fee transportation management system offering shippers savings opportunities, visibility, efficiency, and carrier choice (their incumbents, or WIN network’s). A product of Odyssey Logistics and Technology, it’s a global logistics solutions provider with a freight network of over $2 billion. WIN supports virtually all modes in North America and quickly and easily integrates with shippers’ existing ERP systems. WIN also leverages the latest technologies for carrier communication including APIs or carrier web services. WOScan Barcode Data Collection www.blytheco.com/joscan Works with: Sage 100cloud Work Order from Scanco, or WOScan, is a highly flexible, adaptable wireless data collection solution, ideal for manufacturers using the Sage 100cloud Work Order module. xkzero is a suite of mobile applications designed to provide advanced automation across various areas of your business at your fingertips. xkzero integrates seamlessly with Sage ERP software solutions providing mobile sales functionality, mobile commerce solutions, logistics and transportation management, warehouse automation, and eCommerce functionality. Count on SmartLinc to help you reduce costs while processing shipments accurately and on time. It is a flexible solution that can help you streamline shipping activities for all Parcel Carriers, Less than Truckload (LTL) shipments, Truck Load, and your company vehicles. Monitor your business data, automate the production and delivery of documents, and automatically trigger workflow to update applications, schedule tasks, and move information between systems. Sage Fixed Assets software has undergone extraordinary changes over the past few years, resulting in a product that is easier to understand and use than ever before. Easy to install, customize, and use, Sage Fixed Assets (formerly FAS) is a comprehensive, seamlessly integrated fixed asset accounting program perfectly suited for businesses of any size. Avercast Business Forecasting www.blytheco.com/avercast Works with: NetSuite; Sage 100cloud; Sage 500 Avercast has become the supply chain planning tool of choice for many small- to mid-sized companies, as well as the large business marketplace. Products include Inventory Forecasting, Demand Planning, Sales and Operations Planning, Rough Cut Capacity Planning, Salesperson Collaboration, Vendor Collaboration, and Retail Store-Level Analysis. Sage Business Intelligence Business Intelligence Tools www.blytheco.com/business-intelligence Works with: Sage 100cloud; Sage 500; Sage EM With powerful reporting features, many opportunities to customize the system, and integration with third-party products, Sage Business Intelligence helps you gain valuable insight into your business data and operations, allowing you to make more effective decisions. You will have the tools you need to analyze your operations to better understand and manage key aspects. Business Information System www.blytheco.com/biznet Works with: Microsoft Excel The BizNet™ product suite is a business reporting and analytics platform that provides real-time access to your business data from Microsoft Excel®. It delivers simple yet powerful capabilities to anyone who uses spreadsheets to gather and analyze business information. It allows users the ability to get immediate answers to questions without the usual challenges of gathering and refreshing the source data. Sage Enterprise Intelligence Business Intelligence Tools www.blytheco.com/business-intelligence Works with:Sage 100cloud; Sage 500; Sage EM Sage Enterprise Intelligence is an intuitive BI solution that integrates seamlessly with various ERP solutions. These tools help businesses achieve advanced analytics, streamline reporting, and make faster and more informed decisions. Budget Maestro® by Centage is an automated budgeting, planning, and forecasting application that integrates directly with Sage 100cloud, Sage 300, and Sage 500. Designed for small- to mid-market companies, it automates many of the time-consuming and error-prone activities associated with using spreadsheets to generate budgets and forecasts. Budget Maestro features built-in financial and business logic to collect and consolidate P&L data with confidence, and automatically create a synchronized Balance Sheet and Cash Flow. Works with: All Sage ERP Software Solutions; Infor CRM Imagine an all-in-one solution that offers alerting workflow as well as enables you to easily integrate your ERP with eCommerce, marketing automation, web, and CRM. Orbis Software’s TaskCentre allows you to do all this and more. Workplace DataSelf Business Intelligence www.blytheco.com/dataself Works with: All Sage ERP Software Solutions; Sage CRM DataSelf provides best-of-breed, easy-to-use analytics and business intelligence solutions for medium-sized businesses (SMB). Its solutions simplify and amplify Tableau and Microsoft BI technologies by providing thousands of reports, dashboards, and KPIs, plus ultra light data warehouses for ERP and CRM systems. Spend Management & Workplace Automation www.blytheco.com/workplace Works with: All Sage ERP Software Solutions Paramount Technologies’ Workplace automates requisition, procurement, inventory management, project accounting, and time and expense transactions. This helps make internal workflow processes more efficient, improve employee productivity, reduce time and errors, and save money. Infor CRM (formerly Saleslogix) Cloud or On-Premise CRM Software www.blytheco.com/infor-crm Infor CRM (formerly Saleslogix) is the CRM platform of choice for companies strategically focused on customer engagements. Infor CRM delivers a complete view of customer interactions across your sales, marketing, customer service, and support teams so they can collaborate effectively and respond promptly to sales opportunities and customer inquiriesâ&#x20AC;&#x201D;both in the office and in the field. Cloud CRM Software www.blytheco.com/salesforce Salesforce is an industry leading, cloud-based client relationship management and sales tool, customizable for businesses of any type and size. Salesforce helps you to sell smarter and faster than your competitors by helping you make stronger connections with your clients and prospects. Sage CRM On-Premise CRM Software www.blytheco.com/sagecrm Sage CRM is optimized specifically for small- and medium-sized businesses. It is customizable, mobile, and easy to use. Sage CRM enables improved business processes, closer management of customer relationships, increased revenues, and decreased inefficiencies. Ultimately, it provides management with timely and reliable insight to guide important business decisions. ADD-ON PRODUCTS Conga Composer Document Generator www.blytheco.com/composer Works with: Salesforce Conga Composer© makes it easy to create and deliver sophisticated and fully customizable documents, presentations, proposals, account plans, invoices, quotes, contracts, reports, and more featuring your Salesforce data. The app also allows for flexible delivery options including automatic delivery via email; download locally; store in Salesforce, Google Drive, or SpringCM; or send for eSignature with DocuSign, EchoSign, or Sertifi. Clicktools Customer Feedback Tool www.blytheco.com/clicktools Works with: Salesforce Clicktools from CallidusCloud helps you truly understand your customers by requesting and responding to input at key points along the entire customer journey. You can transform your customer’s experience and consistently improve processes and profits. CRM Mobile Service Signature Remote Access, Updates, and Sign-offs www.blytheco.com/crmmobilesignature Works with: Sage CRM Greytrix’s CRM Mobile Service Signature seamlessly integrates with Sage CRM and is compatible with Android as well as Apple products. It enables consultants to get approval and actual client sign-offs while still on site with the client. The client can see the details of the job listing on the consultant’s mobile device and sign the job sheet using the touchscreen right then and there. CRM Project Manager Project Management Software www.blytheco.com/crmprojectmanager Works with: Sage CRM CRM Project Manager by Greytrix takes all the main concepts of Project and Time Management and delivers a pragmatic and highly effective management tool which is installed on top of the Sage CRM platform. It is completely integrated into Sage CRM so that it leverages all the benefits of CRM including design of user interface, searching, reporting, and document management. Commercient SYNC Data Integration www.blytheco.com/commercient Works with: Salesforce Commercient SYNC is not your average data integration application. It eliminates the need for third-party toolkits for a quick and easy integration experience. Commercient SYNC is set up to synchronize your ERP and CRM data in real-time, whenever you want. You’ll have real time access to your customer data. Works with: Sage CRM You’ll always know who’s available for your jobs and when. The CRM Resource Planner by Greytrix is a visual representation of all your available resources. Each resource will have allotted time slots aligned vertically, displaying the time of day, and creating a resource Time Box. With configurable time slots, resource planning has never been easier! CRM Budget Planner Budgeting Tool www.blytheco.com/crmbudgetplanner Works with: Sage CRM The CRM Budget Planner from Greytrix takes all the main concepts of Budget Planning and Allocation and delivers a pragmatic and highly effective management tool which is installed on top of the Sage CRM platform. It is completely integrated into Sage CRM so that it leverages all the benefits of CRM including design of user interface, searching, reporting, and document management. www.blytheco.com/databridge Works with: Sage 100cloud; Sage CRM Bridge the gap between your Sage 100cloud and Sage CRM data. Get real time, usable ERP information inside of your CRM. You’ll enjoy pre-built dashboards, user-friendly reporting, linked modules, and comprehensive cyber security through Sage. CRM Contract Manager Contract Lifecycles Tool www.blytheco.com/crmcontractmanager Works with: Sage CRM Greytrix’s CRM Contract Manager will enable you to optimize the lifetime value of your business relationships by centralizing, standardizing and systemizing the entire contract lifecycle. No part of the process—from contract creation through expiration or renewal—will ever slip through your fingers again. This program allows you to create any number of customized documents based on your contract information. Works with: Salesforce MuleSoft’s DataLoader.io is the most popular data uploading tool for Salesforce. Use it to quickly and securely import, export, and delete unlimited amounts of data for your enterprise. It features intelligent data mapping, login with existing Salesforce.com credentials, reduces redundancies, and direct import capabilities from Box, DropBox, FTP, and SFTP. BITtelligent’s Dynalink is an integration platform providing bi-direction synchronization capabilities from Infor CRM to Sage 100cloud. You’ll benefit from having your information tightly woven between platforms, having the ability to generate data, critical work flows, and much more. Enhancements are added to either the LAN client or your CRM Web Client to view various ERP datasets. Passage Technology’s Rollup Helper aggregates any Salseforce data. It allows easy access to real-time data, no matter the format. Rollup Helper will help you create data roll-ups that will provide insights you could never have before, all while saving your organization precious time. InaPlex CRM Integration and Migration www.blytheco.com/inaplex Works with: Infor CRM (formerly Saleslogix); Salesforce InaPlex understands that CRM integration is not simply about moving data; it’s also about transforming it—screening, cleaning, and modifying—and ensuring data integrity at every step. It also takes the hassle and risk out of CRM migration with quick, clean, and reliable transfers of client details and history. intelli-CTiTM Computer Telephony Integration www.blytheco.com/intelli-cti Works with: Infor CRM (formerly SalesLogix); Sage CRM QGate’s intelli-CTiTM allows your CRM software applications to be integrated with your phone system. This will allow you to increase your call efficiency, personalize your customer service, and deepen your client relationships. Jitterbit Cloud Data Loader www.blytheco.com/jitterbit Works with: Salesforce Jitterbit helps Salesforce users simplify their data management by allowing them to automate the import and export of data between flat files, databases, and Salesforce. Jitterbit reduces the amount of time and effort required to automate imports and exports. Designed for Salesforce administrators, this app helps relieve some of the burden on IT resources. Riva CRM Data Integration with Email www.blytheco.com/riva Works with: Salesforce Riva syncs CRM systems directly to all Exchange, Office 365, Hosted Exchange, Gmail, Google Apps, IBM Notes, Domino, and Novell GroupWise email applications and mobile devices. Riva has the capacity to synchronize all types of data, from contacts, leads, and persona accounts, to appointments, meetings, tasks, and reminders. Centrally manage integration for hundreds or thousands of CRM users and mobile sales reps.
Sage Pay for CRM Payment Management Integration www.blytheco.com/sagepay Works with: Sage CRM Sage Pay is Europe’s most trusted payment system. Now, Enbu Consulting has created a powerful extension, allowing you to accept and process credit and debit card payments directly from your Sage CRM dashboard. You’ll enjoy cost efficiencies, faster transaction processing time, and enhanced data security. PLATFORMS AND ADD-ONS Fusion RMS Retail Management System www.blytheco.com/fusion Works with: Sage 100cloud; Sage 500; Sage EM Fusion Retail Management System is a suite of applications extending the reach of your ERP to meet the operational needs of the SMB Retail Market. Fusion RMS is the only infinitely scalable, fully integrated retail platform (i.e., Point of Sale, Inventory/Warehouse Management, eCommerce, and Accounting) which can be deployed in the cloud or locally using either a SAAS or perpetual license model. IN-SYNCH Website Database Integration www.blytheco.com/insynch Works with: Sage 100cloud IN-SYNCH allows you to pull sales orders from a website. The product is customizable and can be expanded to accomplish many more Sage 100cloud integration and synchronization needs. WebJaguar Cloud-Based Commerce Solution www.blytheco.com/webjaguar Works with: Sage 100cloud AdvancedEMedia’s WebJaguar is a modern cloud-based commerce platform. It is scalable, customizable, and built on an innovative technology and architecture that enables your business to excel forward. WebJaguar is also designed from the ground up with advanced B2B and B2C specific features and business workflow. WebsitePipeline eCommerce Data Integration www.blytheco.com/websitepipeline Works with: Sage 100cloud WebsitePipeline enables bi-directional communication between your eCommerce website and your ERP system. It allows you to keep pace with customer demands by streamlining the process from online order to fulfillment. WebsitePipeline also offers eCommerce website solutions, making it a “one-stop shop” for your online sales needs. Web-StorTM E-Commerce Integration www.blytheco.com/web-stor Works with: Sage 100cloud Web-StorTM solutions give you everything you need to create Sage 100cloud optimized webpages which you can integrate with your existing website. Use any host, shopping cart, or eCommerce environment. Your customers will experience beautiful, mobileoptimized check-outs while you’ll enjoy seamless integration with Sage 100cloud. Act-On’s fresh approach to marketing automation and email marketing gives you full functionality without the complexity other systems impose on you. Its streamlined user interface puts first-rate marketing tools at your fingertips, making campaigns and programs easier and faster. Integrate your CRM, webinar management, and other tools with one click. Marketo is known as a leader in digital marketing software and solutions for organizations of any size. With integrations including CRM, eCommerce, ERP, and other data sources, Marketo helps you engage with clients and prospects when and how it matters most to them, so that you can build lifelong customer relationships. Hubspot Marketing Automation Platform www.blytheco.com/hubspot HubSpot is an inbound marketing system that helps you get discovered online by qualified prospects, capture more leads, and convert them into customers. It is accessable with any web browser and easily integrates with your current CRM strategy. With over 4,500 customers and growing, HubSpot is transforming online marketing for companies of all sizes. Salesfusion Marketing Automation Platform www.blytheco.com/salesfusion Salesfusion is an enterprise B2B marketing automation software platform designed to support the business, technology, and process needs of B2B marketers. Salesfusion specializes in integrating key marketing and lead generation processes to your installed CRM system. Drive success across your entire company. To drive success across your entire company, it is crucial to build on the right foundation. Choose Salesforce to be your foundation, and let Blythecoâ&#x20AC;&#x2122;s team of professionals build upon it. obayashi Americas, or Kobayashi for short, started out as a family business before joining as a subsidiary of Japanese parent company Kobayashi Healthcare International. Kobayashi’s philosophy is “to foster a continuous spirit of creation and innovation in everything we do and every product we offer.” Established in 1999, it quickly rose to the top as a supplier for more than 600 medical device and over-the-counter personal care products under multiple brand names. Kobayashi Americas develops products ranging in use from relieving minor aches to keeping warm. One product, HotHands® Warmers, has been the number 1 air-activated hand warmer in America since 1988. These heating devices are used across the medical industry which includes hospitals, clinics, and health centers. Kobayashi also manufactures BeKoool®, a type of cooling soft gel sheet used for relief of minor aches, sprains, fevers, and headaches. It also manufactures an air-activated therapeutic heat pack for back, shoulder, and neck pains called Cura-Heat®. HotHands and Grabber are Kobayashi’s two most popular products on the market. Phil Sim (left) and Kory Keenan (right) discuss implementing Sage EM. Together, Blytheco and Kobayashi discovered Sage Business Cloud Enterprise Management was the platform to lead the manufacturer into new industry acquisition. Making a Decision When Blytheco first met with Kobayashi Americas, the company was using Sage 500 as its ERP. However, they had recently expanded the company, and its over 150 employees had expressed concern that the ERP was not keeping up with the increased workflow. Merger and acquisition activity within the healthcare industry has created a boon for Kobayashi, and there is no sign of slowing down. IT Manager Kory Keenan remarked of their ambitious growth strategy, “We are on a constant cycle of buying, consolidating into our operations, and then looking at another purchase.” Kobayashi develops a range of products requiring separate regulatory considerations, which created fluctuating compliance needs. The company was worried there was no way to find a system to handle all their needs in one fell swoop. “We had an old system with a lot of manual aspects to it,” Keenan explained. Blytheco, a proud partner of Sage, knew the best way to help Kobayashi. Phil Sim, Blytheco’s Chief Client Success Officer, could see right away the issues with the current ERP system. “Kobayashi is a perfect example of a customer that was having business pain,” Sim said. “They were going through massive growth, they were going through mergers and acquisitions, they were trying to automate a lot of their distribution processes.” He also noted, “they have a lot of products, a lot of different SKUs, and inventory is a big challenge if you’re not careful.” Blytheco showed the Kobayashi team several different options that could work for their business, including NetSuite, Sage Enterprise Management, and Microsoft Dynamics. It was clear that no matter what, a big transformation was needed in their software. Together, Blytheco and Kobayashi discovered Sage Business Cloud Enterprise Management was the platform to lead the manufacturer into new industry acquisition. Making a Big Change “We decided it was time to really make a change and redo our whole business,” Keenan explained. “We moved to Enterprise Management because we needed a system to allow us to focus on highly regulated markets and be compliant within those regulations. That way, we grow without having to assess our system’s compliance and available customizations.” Sim was extremely happy with the final decision because he felt that Sage EM was the best fit to help take Kobayashi to the next level. He noted that, “Sage Enterprise Management is a web-based application, which makes it very easy for us to deploy. Using web-based applications is second nature for [Kobayashi], very natural for them, so having a web-based ERP made the adoption much easier to use.” Keenan explained that Kobayashi restructured almost all of their business processes to take advantage of Sage EM’s “flexibility, customizability, and the ability to run on-premise, or as a cloud-based solution—whichever we need. EM takes it from the point of purchase, to distribution, to billing, to accounts payable in a single platform. It keeps all of our electronic signatures, all of our compliance information, and alerts us as items move throughout our warehouse so that we know in real time where our product is and to which customer it was delivered.” Since its implementation, Kobayashi has seen an increase in productivity and a clear, streamlined process within their warehouse. About the Author Kyleena Harper is Blytheco’s Marketing Writer/Editor. She has 10 years of writing experience and a love for all things grammar related. Currently, she’s discovering a new passion for software and technology. Connect with her on LinkedIn at www.linkedin.com/in/kyleenaharper. Streamline your entire planning process and make faster, more confident decisions. Blytheco Resource Center Access webinars, comparison pieces, and client success stories to help you transform your company. today’s world, traditional marketing is no longer adequate, with more and more companies relying on digital. The digital world, however, is just as complicated—there’s an abundance of marketing channels to influence your choice on what strategy to use. From Search Engine Optimization, to Google Ads, and more, the question is always over how best to present your brand to the world. Two of the most popular choices are push and pull marketing. But which one is the best to use when planning your marketing strategy? The term “push” comes from the idea that marketers are attempting to push their products at consumers. Push marketing is a promotional strategy where businesses attempt to take their products directly to the customers. A great example of push marketing that you see every day would be sale racks at clothing stores. Another common example includes showrooms, like a car dealership, where the company can showcase products easily. The best example of push marketing can be seen in department stores that sell perfumes and colognes. How many times have you walked through a department store trying to side step an employee offering a free spray of the latest and greatest perfume? This tactic can be especially beneficial for new brands that aren’t well-established, or for new lines that need additional promotion. When it comes to push marketing, consumers are normally being introduced to the product being pushed for the first time, and they wouldn’t know to ask for it if they didn’t know it existed. As I’m sure you’ve guessed, the term “pull” comes from the idea that marketers are attempting to pull consumers to them. The goal of pull marketing is to get the customers to come to you. You can often recognize pull campaigns by the quantity of advertising being used. Pull marketing needs a higher amount of advertising dollars to be spent on making brand and products a household name. A good example of pull marketing includes mass media promotions, like running ads in newspapers or magazines, or on television. For example, take marketing items for children, such as bicycles or scooters. Step one is for the company to advertise the product. Then, children and parents see the advertisement and want to purchase the bike or scooter. As demand increases over time, retailers will increase their stock of the product in their stores. So, the company has successfully pulled customers to them. While some companies may decide to adopt one or the other, it is important to find a harmony between the two. A deep understanding of your business, brand awareness, and your target audience is necessary to help you choose your marketing strategy. Valenzuela states, “As a company we took our time to reestablish our brand and focus on our target audience. Using this information helped us shape our marketing strategies and renew our focus on the tactics which work best for our industry.” At the end of the day, both push and pull marketing should move together seamlessly to help bring the customer through their journey with your product and your overall brand. Modern consumers are savvy, and they know when they are being blatantly marketed to—and they don’t always appreciate it. Finding an even balance of push and pull will help keep your customers happy with their interactions with you, as well as help to increase sales. The trusted name in demand management. efficient enterprise level demand management suite. One Login. Two Systems. All Your Data in One Spot. Meet DataBridge, bridging the gap between Sage 100 ERP and Sage CRM. Enjoy pre-built dashboards and reports with real-time access to your Sage 100. Experience ERP information from within your Sage CRM.